A couple of months ago, Amazon announced some fantastic new gadgets, none of which costing more than $150. It's not the first time the company has offered practical, affordable devices, of course. The same model was followed with the launch of the Kindle e-readers, and then again with the Kindle Fire tablets. The company releases a proof of concept and lets the market respond. If the response is favourable, Amazon shoots it at the market. Echo – a new version of the popular Alexa home assistant unit. Echo Plus – A bigger version of the Echo. Echo Buttons – An input device, allowing users to play Alexa-powered trivia games. Echo Connect – Basically Amazon Echo + a landline. A Talking Fish… Yep! You read that right! 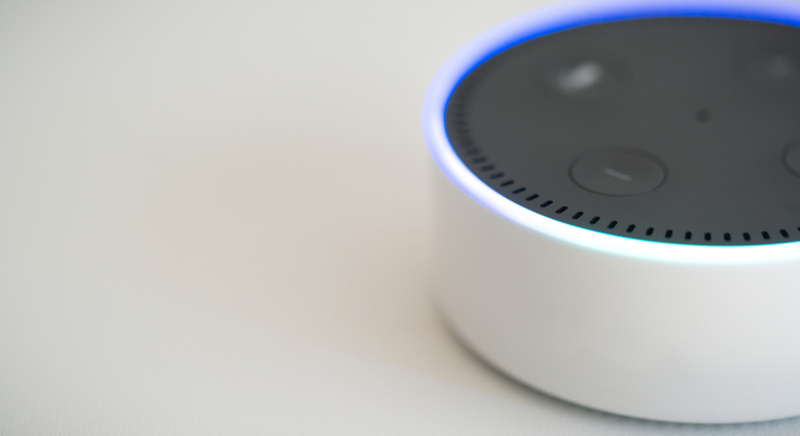 Amazon were keen to show off the fact that Alexa will soon be able to 'talk' to a number of devices… This was just one of them! Fire TV 4K – Amazon's HD equivalent of Google Chromecast. 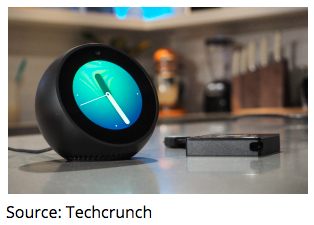 Echo Spot – A smart (in terms of looks and functions) alarm clock. So, a strong new lineup from Amazon, the sheer volume of which, as well as the marginal cost, is impressive. Time will tell if the company will be able to consistently compete with the likes of Apple or Google in the hardware sector. What's for sure is that their marketing strategy has worked well in the past, with the Kindle and Kindle Fire tablets proving to be a great success. In both cases, after the market liked the original model, Amazon slashed the hardware margins and flooded the market with quality hardware, with MSRPs dramatically under the competition. In the latest example, the Echo showed a strong hold on its market share, much like the Kindle did years ago. This bevy of Amazon products were announced at a pivotal time, too. Following this announcement, Google also unveiled some updates to its Google Home line, including an Echo Dot-like smaller version of Google Home. The home assistant hardware race is well and truly on! Have you ever thought about trading Amazon shares? You can trade Amazon share CFDs with Admiral Markets, under the NASDAQ stock exchange symbol: AMZN. Here's what happened when Amazon announced this latest hardware release on September 27. Following the announcement, the share price rose from 945.13 to 1009.42, over the course of the next two weeks. So the announcement had a positive effect on share price. Currently, the price is at support level and if it retraces to a trendline and camarilla pivot X cross at 944.09, we might see another push to the upside towards the 1040 zone. So, the time to buy the stock could come soon. There is still scope to the upside, as everything we mention above should be positive for the company. If you'd like to know more about trading analysis, check out our education section, featuring hundreds of excellent articles and webinars by pro-traders, explaining what these terms mean and teaching you how to strategise your trading. Don't forget to keep your eyes on the competition. Remember, you can trade share CFDs in Google (GOOG) and Apple (AAPL), as well as those of many other household company names. Check out our full share CFD offering. We always encourage new traders to download and practise trading in a risk-free environment, on a free Demo account. It's a great opportunity to give trading a try without risking any of your capital. We also highly recommend that you read and understand the risks that trading involves. Shares aren't your thing? That's okay! Admiral Markets also offers trading in Forex and CFDs on stock indices, commodities, bonds and also cryptocurrencies as well. Check out our full product offering and conditions today!